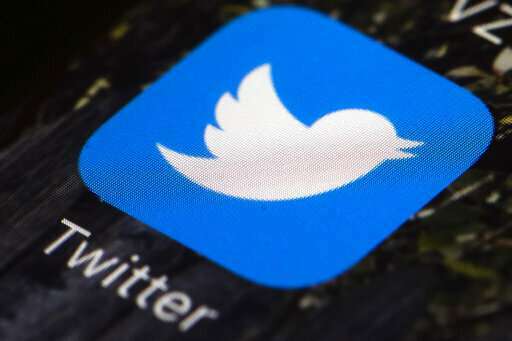 Scientists examined more than 16,000 U.S. Twitter accounts and found that 16 of them—less than one-tenth of 1 percent—tweeted out nearly 80 percent of the misinformation masquerading as news, according to a study Thursday in the journal Science . About 99 percent of the Twitter users spread virtually no fake information in the most heated part of the election year, said study co-author David Lazer, a Northeastern University political and computer science professor. Lazer said misinformation "super sharers" flood Twitter: an average of 308 pieces of fakery each between Aug. 1 and Dec. 6 in 2016. And it's not just few people spreading it, but few people reading it, Lazer said. "The vast majority of people are exposed to very little fake news despite the fact that there's a concerted effort to push it into the system," Lazer said. That makes this study more believable because two groups of researchers using different social media platforms, measuring political affiliation differently and with different panels of users came to the same conclusion, said Yonchai Benkler, co-director of Harvard Law School's center on the internet and society. He wasn't part of either study but praised them, saying they should reduce misguided postelection panic about how "out-of-control technological processes had rendered us as a society incapable of telling truth from fiction." Experts say a recent showdown between Kentucky Catholic school students and a Native American elder at the Lincoln Memorial seemed to be stoked by a single now-shut down Twitter account. Lazer said the account fit some characteristics of super sharers from his study but it was more left-leaning, which didn't match the study. The researchers used several different sources of domains for false information masquerading as news—not individual stories but overall sites—from lists compiled by other academics and BuzzFeed. While five outside experts praised the study, Kathleen Hall Jamieson, head of the public policy center at the University of Pennsylvania, found several problems, especially with how they determined fake information sites. Lazer's team found that among people they categorized as left-leaning and centrists, fewer than 5 percent shared any fake information. Among those they determined were right-leaning, 11 percent of accounts shared misinformation masquerading as news. For those on the extreme right, it was 21 percent. This study shows "most of us aren't too bad at circulating information, but some of us are determined propagandists who are trying to manipulate the public sphere," said Texas A&M University's Jennifer Mercieca, a historian of political rhetoric who wasn't part of the study. "with conservatives and older people sharing misinformation more, a new study finds." The researchers' definition of fake news is obviously anything conservatives or old people say. Fake news is spread by mostly by liberals but they get a pass because the CEO of Twitter is a liberal who lies all the time about being biased. The bias in this study reeks. With a nod to Shakespeare, "methinks JamesG doth protest too much." The ones that cry fake news the most are the ones that know they are wrong. It's the rallying cry of the ignorant who can't understand something. This does not fit my narrow world view of fox news, therefor it is wrong! It came from someone who I am describing as a liberal because they don't have a MAGA hat on, therefore I will ignore anything they said offhand! I will absolutely do none of my own research, I will let Alex Jones tell me how it is! Rush Limbaugh will give me accurate information after he finishes up his pain pill rehab after his 4th divorce! He's the champion of all that is good in the world, I only believe him! "...among people they categorized as left-leaning and centrists, fewer than 5% shared any fake information. Among those they determined were right-leaning, 11% of accounts shared misinformation masquerading as news. For those on the extreme right, it was 21%." Notice the cherry picking in this paragraph. In the first statement they give a low number by specifying that it only counts the center left and left leaning. Then they give a figure that is over twice as high by specifying only right leaning with no qualifiers to indicate otherwise. Finally they give a figure nearly doubled again by specifying the extreme right. No mention of an extreme left. Absolutely no comparison can be made from the data in this paragraph, however it gives the impression the those on the right are more far more likely to spread fake news. That's fake news. Wow, this whole article looks like Fake News. Biased to the core, and the only example of fake news they could give was from someone who is a liberal! Shame on the authors. This is rotten politics. Gee, looks like they're here too. Law-and-order conservative tyrants are elected in fear of chaotic anarchy of progressives. Age and treachery will overcome youthful activism every time. No mention of an extreme left. Absolutely no comparison can be made from the data in this paragraph, however it gives the impression the those on the right are more far more likely to spread fake news. As is usually the case, you could have clicked on the DOI link in the article to get the information. You'd have seen that the far left rate is about the same as left-leaning (table S4 of the supplementary materials - far left shared 4.9% of the fake news). Why right leaning people share more fake news isn't clear to me. It's known that the right is less accepting of science than the left (https://www.resea...n_detail ) and that probably is a big part of it. Fun thread, with obviously right leaning people not liking the facts and trying to spread misinformation about them! & the Final Facts will be decided by the juries of Patriotic Americans. for their acts of treason, corruption & sordid misdeeds. Once those vermin are successfully prosecuted? Then MAGA, then Americans will be able to take pride in their Country again. Without all the hypocrisy of pimp putin's whores the altright fairytails, quislings & copperheads. I realize you reactionary morons lack the competency to read history. Don't you worry about that. No one who is cursed with knowing you? Expects any better of you! What I am impatiently waiting for is the end of pimp putin & his gang of KGB kleptocrats. & the overthrow of the saudi caliphate. Either or both, would reveal the links between the Global Fascist Axis & their puppet traitors in the American republican party, their evangelist collaborators & the colluding executives at Faux News with all their puppets.